What is the role and purpose of computational chemistry in general and molecular modeling in particular? What does molecular modeling allow us to do that cannot be done using traditional (i.e. wet) chemical techniques? What are the fundamental mathematical expressions that need to be solved in the various forms of molecular modeling? What are the terms in these equations, what is their significance, and what variations can be used? What are the approximations that are commonly used in different molecular modeling techniques? What are the pros and cons of these various approximations? How does the choice of approximation affect the results, the computing time required, etc.? What are the fundamental units of measure used in molecular modeling? What units will be used by the different computer codes used to perform molecular modeling? What are some of the computer codes that can be used to perform molecular modeling studies? What computer platforms are needed for the different codes, and what are the strengths and limitations of these codes? How can molecular modeling be integrated into the chemical curriculum? What are the benefits and the obstacles to the use of modern technology in the classroom? 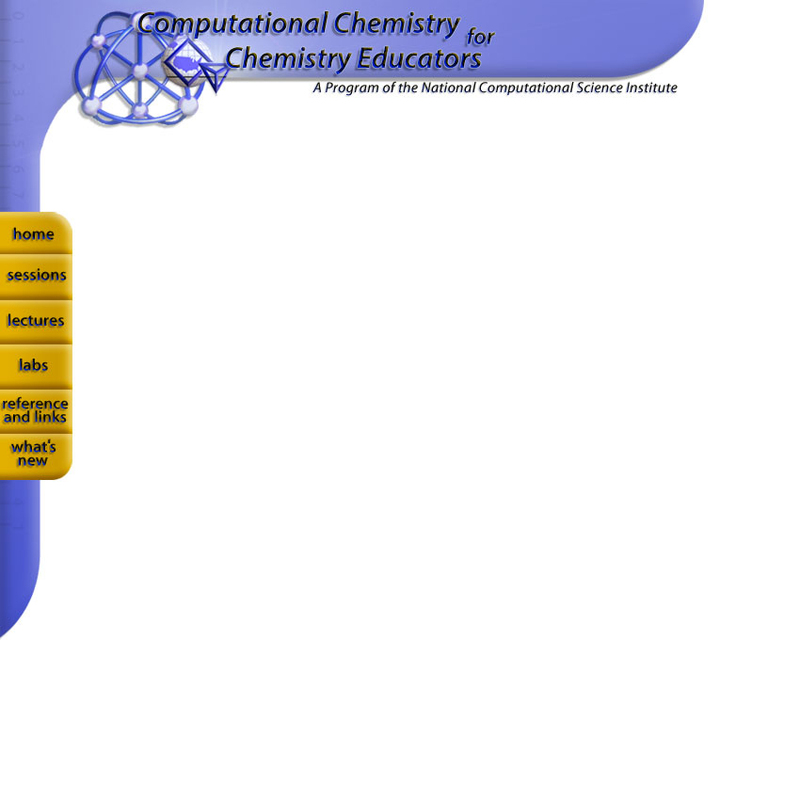 One premise of this course is that educators can and should understand how research chemists make use of molecular modeling as an aid in their research endeavors. Educators, like scientists, need to learn science by actually doing science. The main goal of this course is to provide educators with the opportunity to use molecular modeling to solve interesting and relevant problems. Towards this goal, participants are provided with a variety of experiments, using a variety of popular software. The sharing of knowledge is one of the pillars that modern science rests on. Those who complete this course are encouraged to create and share educational materials that can benefit the community of chemistry educators as a whole. These materials may be created for use in lecture, laboratory, or student self-study. A Web-based archive of proven molecular modeling activities will be the end result.